Facebook’s having yet another crisis related to Russian interference on the site. This time, however, it isn’t a new wave of hackers influencing elections, it’s documents relating to what they knew and when. Seized Facebook documents in the hands of the UK Parliament allegedly show the company knew about Russian interference as early as 2014. These documents may be made public in the next week. How Were the Documents Acquired? Originally, these documents were sealed by a California court. The court has asked Facebook to remind the UK why the sensitive documents should not be released. However, the UK acquired the documents by legal means from the founder of Six4Three, a defunct app company. While the founder was visiting London, he was compelled to appear before parliament and produce the documents in question. 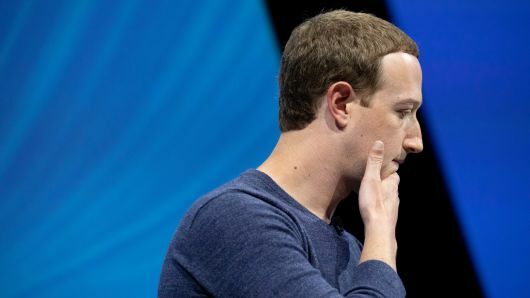 The seized Facebook documents allegedly shed light on how much Facebook knew about Russian interference and when they knew it. During the international hearing in the UK today, Damian Collins explained the nature of the documents. Collins is the head of the Digital, Culture, Media and Sport Committee in Parliament. According to Collins, the documents include an email from a senior Facebook engineer that alerted the company to the presence of Russian interference on the site. The most damning aspect of this email is the timing. It was sent in 2014, meaning Facebook new about the interference 2 years before the election. Some believe that the documents even include communications among top Facebook execs, including Zuckerberg himself. Speaking of Zuckerberg, he was conspicuously absent from the hearing in the UK today. A symbolic chair was left empty for him. The unsealing and publication of the documents could be of great importance to the public. “There is a clearly growing interest in what the documents contain,” said Collins. The committee is currently scouring the documents for anything of public interest. Collins has stated that he can’t currently give an exact date for when the documents will be published. There is a large number of documents present that were seized, and they may require redaction before being released publicly. “Our duty of care is to go through them properly,” said Collins. At time of writing, Facebook has made no statement regarding the release of the documents.